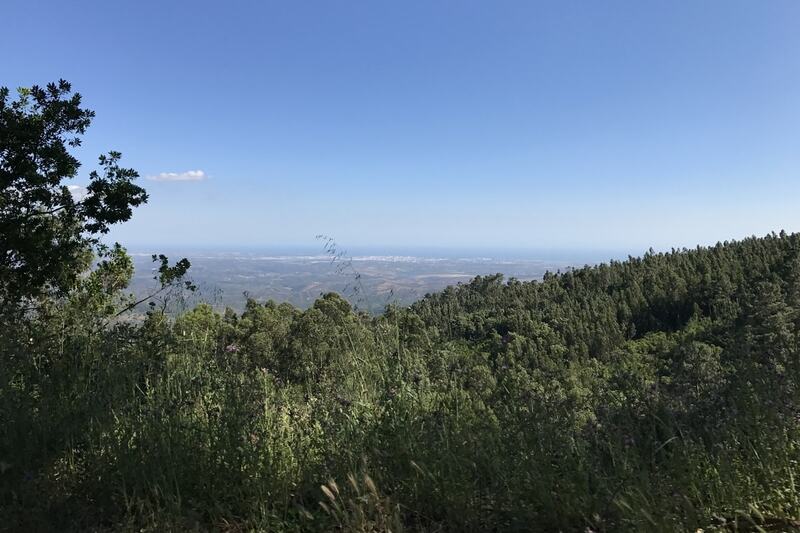 With year-round sunshine, varied terrain and quiet roads; we believe that the Algarve is a world-class cycling destination. Challenge and inspire yourself, riding from the sands of the Mediterranean Sea to the iconic 914m summit of Foia in the Serra Monchique. Whatever your cycling ambition, we have a cycling experience to suit you. We ask that you are entirely transparent and honest when asked about your fitness so that we can allocate riders into the right groups, this allows for greater enjoyment and safety. You do not need anything more than a good level of fitness to take part but a sense of adventure and a positive attitude are very important. We offer three experience types according to your appetite for difficulty, ability, cycling experience and physical fitness. The rides are designed to range from entry-level (Novato), moderate (Moderado) to difficult (Difícil) and are within the capabilities of someone who exercises regularly. If you require guidance as to the suitability of each group, please do not hesitate in contacting us. 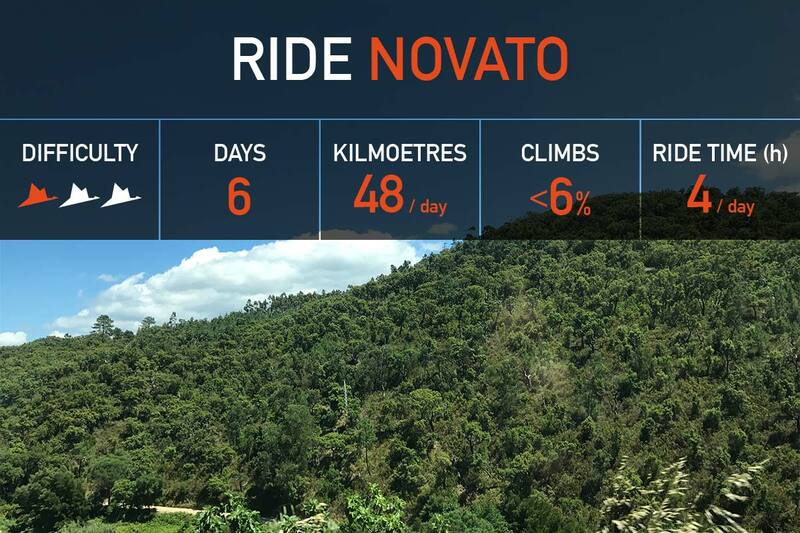 Novato is our five nights, six day, entry-level cycling experience with four days cycling and the option to take a day off the bike to relax pool-side or explore the local area. You will enjoy the tranquility of rolling coast-lined roads featuring panoramic ocean views, together with climbs that you take great satisfaction in achieving. Am I fit enough for the Novato experience? 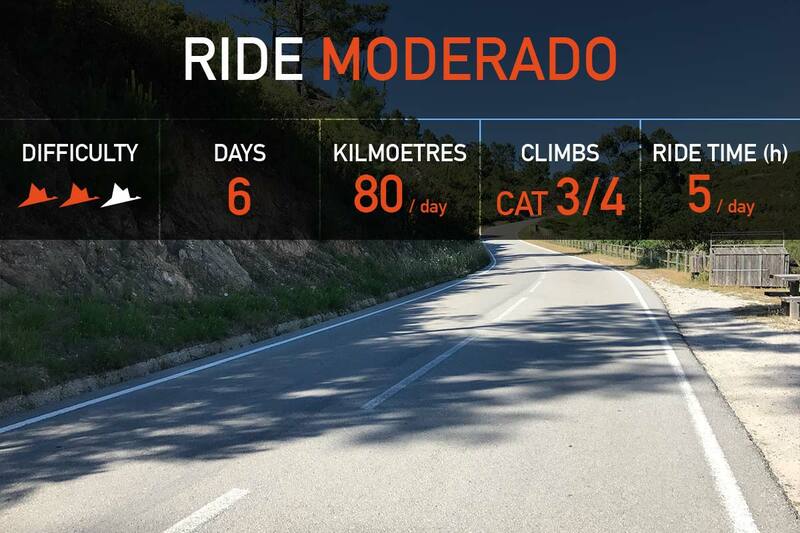 Moderado is our five nights, six day package for more experienced cyclists. Riders enjoy traffic-free, open roads with quality surfaces to explore this stunning part of the Algarve that offers breath-taking scenery. Am I fit enough for the Moderado experience? Includes at least one good climb (category four or three). 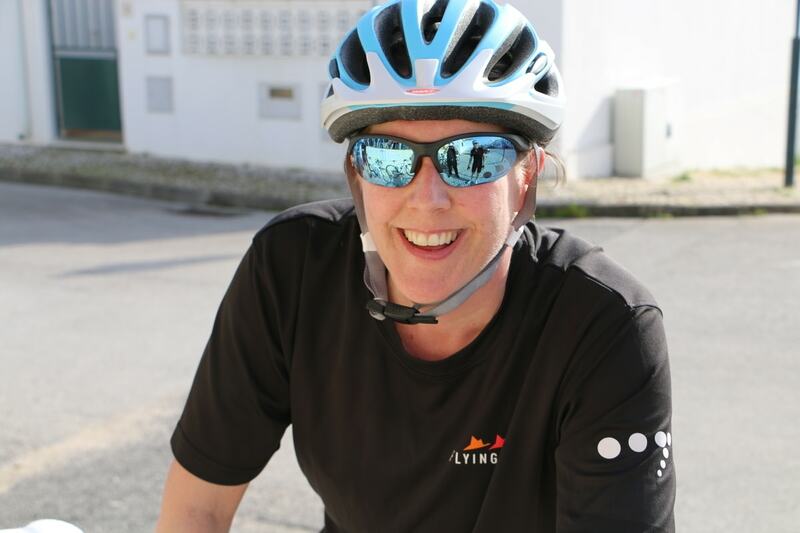 You are capable of riding for five consecutive days however if you preferred to take a day off the bike, either remaining poolside or exploring the local area, this can be arranged for you. Our most challenging experience, five nights, six day package. 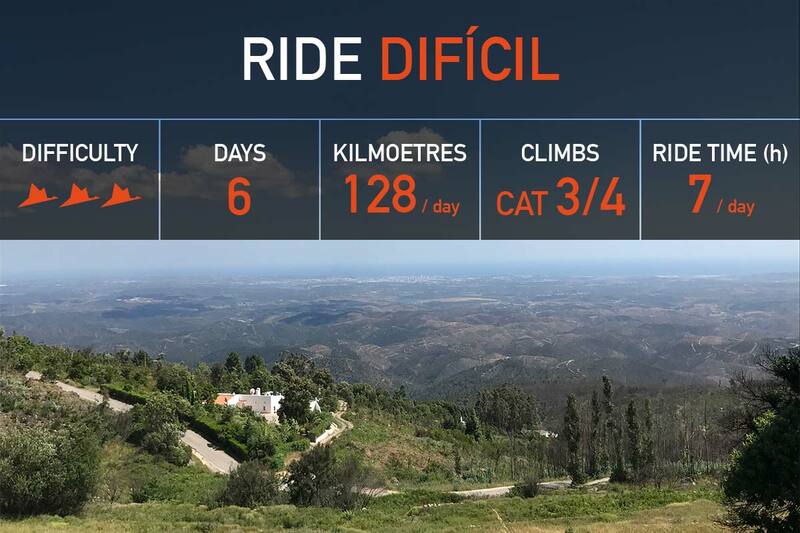 Difícil will take you from the sands of Mediterranean Sea to the iconic, 3,000 foot (914 meters) summit of Foia in the Sierra de Monchique mountain range as visited regularly by the Volta Ao Algarve. From here experience 50mph descents taking in the rustic charm and beauty of the mountain valley villages to a spectacular finish overlooking the Atlantic Ocean. Am I fit enough for the Difícil experience? Comfortable being in the saddle for over five hours per day with breaks every two hours Capable of riding for five consecutive days however if you preferred to take a day off the bike, either remaining poolside or exploring the local area, this can be arranged for you.